Your pastor’s wife is sure to appreciate the friendly, practical, and above all, Christ-centered wisdom that Nancy Wilson brings to bear on a host of issues pertaining to pastors’ wives, from assisting their husbands in their calling, to dealing with the congregation at home (kids), handling adversity from enemies (and friends), and determining how much (or how little) they need to be involved in the church. 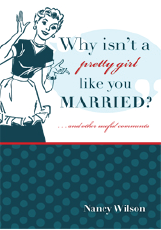 WHY ISN’T A PRETTY GIRL LIKE YOU MARRIED? Yes, I’m single . . . feel free to comment. Single women can sometimes be magnets for awkward question…especially within the church community. With an emphasis on strong marriages and biblical childrearing, unmarried women in the church can begin to think that they are somehow on the sidelines. But this is not the case. 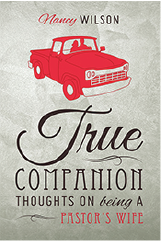 In this helpful volume, Nancy Wilson provides straightforward counsel and encouragement for those struggling with “the wait.” She addresses practical concerns like building a career but focuses more specifically on important relational issues such as interacting with competitive women, respecting your parents even after you’ve left their home, establishing standards for male friends, and keeping the right outlook on your life. Whether a woman is called to singleness for a short time or for her whole life, she is called to be fruitful in God’s kingdom. 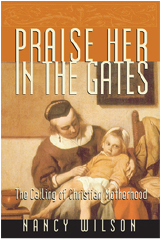 For a Christian, motherhood is the subtle art of building a house in grace–the wise woman builds her house, but the foolish pulls it down with her hands (Prov. 14:1). Each day’s work is significant, for it contributes toward the long-term plan. Each nail helps a house stand in a storm. But motherhood isn’t a simple formula. Building a home–childbirth, education, discipline–requires holy joy and a love of beauty. The mother who fears God does not fear the future. Imagine where the Church would be today if the men in it were respected as they ought to be by their wives. What power would God unleash through godly men who were respected in their homes? Wives, instead of focusing on your husband’s problems and shortcomings, look at what you are supposed to be doing yourself. In the Song of Solomon we read, “Like an apple tree among the trees of woods, so is my beloved among the sons.” So what is your perspective when you look at your husband? Is it biblical or does it stem from all those modern lies which surround us? The importance of the spoken and written word in Christian culture cannot be overestimated. 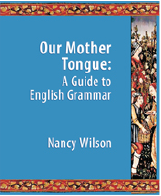 In this English grammar guide, Nancy Wilson surveys the major concepts in English grammar for beginners at the late elementary and junior high level, or even adults seeking a brush-up. Our Mother Tongue dishes up examples and exercises that go beyond the stereotypical, contrived sentences serving merely to illustrate a point, and relies on selections from Scripture and great English literature to instruct students with regard to content, style, and structure. In addition to a helpful format that highlights key definitions, punctuation issues, and important concepts, short historical sidebars tell the fascinating story of the development of English. Nancy Wilson continues the traditional and challenging exercise of sentence diagramming, which trains students to quickly analyze the structure of any given sentence. 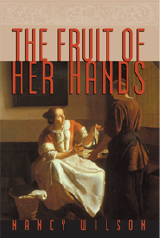 The grammatical explanations, the logic of diagrams, and the rhetoric of her examples blend with complementary emphases to create a helpful classical and Christian text. 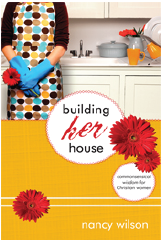 How does a woman build her house? Nancy Wilson begins with the table, remembering how each scratch and stain in the wood chronicles a memory–“hours of stories and jokes, questions and concerns (through courtships and pregnancies), prayers and discussions…” She continues, each essay full of stories and encouragement–the beauty of imperfection, the comfort of Velveeta, the strengths of mothers- and daughters-in-law, the honesty that is submission, the laughter of reading aloud. As ever, while Nancy draws out our sins and weaknesses and sore spots, she comforts us with the favor of God and rouses us to a joyous faith. 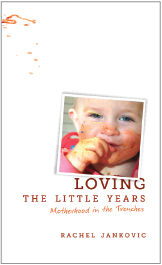 I didn’t write this book because mothering little ones is easy for me. I wrote it because it isn’t. I know that this is a hard job, because I am right here in the middle of it. I know you need encouragement because I do too. This is a small collection of thoughts on mothering young children-for when you are motivated, for when you are discouraged, for the times when discipline seems fruitless, and for when you are just plain old tired. The opportunities for growth abound here-but you have to be willing. You have to open your heart to the tumble. As you deal with your children, deal with yourself always and first. This is what it looks like, and feels like, to walk as a mother with God. I don’t pull punches or hold back in this book, because I am writing to myself as much as to you. If something in this book strikes a little close to home for you, know that it struck in my home first. I am not writing about other people’s problems, although I know many of them are common. I write about what I know, and what I know is the challenges, the joys, and the work involved in raising little people. In this follow-up to Loving the Little Years, Rachel Jankovic pushes her parenting “field notes” out onto the skinny branches of motherhood. 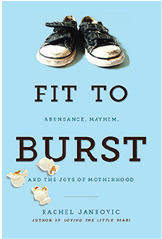 Fit to Burst is chock-full of humorous examples and fresh advice covering issues familiar to every mom such as guilt cycles, temptations to be ungrateful or bitter, and learning how to honor Jesus in the mundane things. But this book also addresses less familiar topics, including the impact that moms have on the relationships between dads and kids, the importance of knowing when to laugh at kid-sized sin, and more. Fit to Burst will help us be moms who parent with the story in mind rather than the snapshot, who know how to both give and require much from their children in the everyday mayhem, and who understand the importance of biscuits.